Some years, when climate allows a harvest of exceptional quality, Hine sets aside a brandy outcome only from Grande Champagne. The secular apprenticeship allows then to the Cellar Master to detect specific qualities to create a true vintage cognac. These vintage Grande Champagne is aged in cellars specific under customs control. Available in limited quantities, it is renewed each year, with four or five vintages which offer each time different flavor profiles. 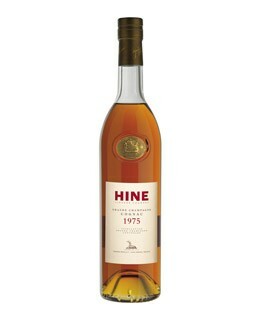 This is how this Hine Grande Champagne 1975 cognac is very powerful and dominated by tannins and spices flavors. In the mouth, its volume and persistence confirm the first impressions on the nose. 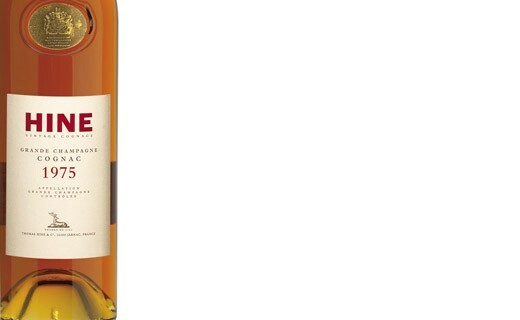 This cognac is a very masculine. Alcohol abuse is detrimental to your health. Please drink with moderation. Focus on the essentials to keep only the exceptional. Devote its life to make each cognac a work of art unique and ephemeral. For nearly 250 years, the quality of Hine cognac, universally recognized, is constantly maintained by the knowledge handed since six generations in a captivating quest to the heights of excellence. These cognacs reflect what Hine can offer the best: vintage, by their rarity and exceptional quality are the most perfect expression. This product is sent directly from the producer. Complete your shopping cart to have the detailed information and the specific shipping conditions.